Nuremberg, Germany – The International Powder & Bulk Solids Processing Conference & Exhibition (IPB), held in Shanghai on 17-19 October 2018, once again demonstrated the professionalism of the POWTECH World family of events in the areas of powder and bulk solids. IPB China continued its 16-year history of success with strong growth in both exhibitor and visitor numbers. The event closed with new record figures of 15 percent growth in exhibitor numbers, and an impressive market- oriented supporting programme with top-level participation. This year’s International Powder & Bulk Solids Processing Conference & Exhibition brought together 163 exhibitors in Hall 4 of the Shanghai World Expo Exhibition & Convention Center (2017: 143). Bulk solids and process engineering firms from 12 countries were represented, with about one-third of the exhibitors (57) coming from outside China. The product range included machines and plant for grinding, separating, mixing, transportation and storage of bulk solids, and for analysis and metrology. Almost every aspect of the key topic of “mechanical process engineering” was covered. Following the event, 88 percent of exhibitors described themselves as happy, and 81 percent hoped to attend again in 2019. The organizer, NürnbergMesse China, counted a total of 8,596 trade visitors at IPB 2018, a significant increase compared to 2017 (7,906). Most represented the chemical industry (35 percent), followed by the pharmaceutical (12 percent), food (11 percent) and energy sectors (10 percent). The comprehensive supporting programme developed by the organizers, NürnbergMesse China and the Chinese Society of Particuology, contributed to the further growth in the appeal of this year’s IPB. Experts in bulk solids and particles from around the world shared their knowledge in five series of seminars. In the session on powder processing for the pharmaceutical industry, for example, the presentation by Dr Martin Bornhöft of the International Association for Pharmaceutical Technology (APV) on “Continuous manufacturing of solid dosage forms” met with strong interest. Further seminars looked at particle measurement and characterisation, particle and powder technology for pharmaceutical production, handling of bulk solids, and explosion protection. “Year after year, IPB China draws more visitors and exhibitors, and provides an important contribution to the development of the process industries throughout China,” comments Kate Yuan, IPB Event Manager at NürnbergMesse China. 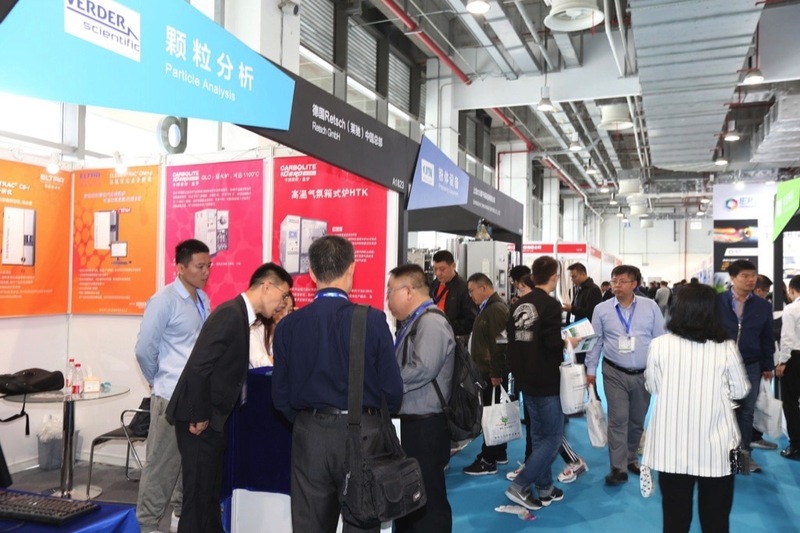 “Anyone in China looking for, or offering, expert knowledge and the latest technology in powder and bulk solids processing will go to IPB.” The next IPB will take place from 16 to 18 October 2019. For more information please go to: www.ipbexpo.com/en and www.powtech.de/world.